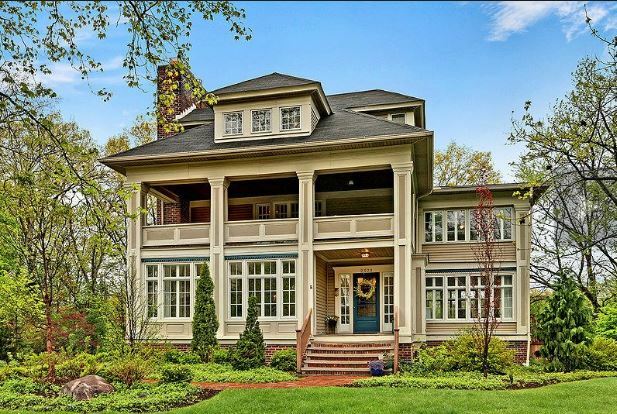 CLEVELAND HEIGHTS, Ohio — In the early 20th century, when Donald and Mary Harman McBride, each the offspring of prominent families during Cleveland’s industrial age, decided to move into a mansion of their own, they turned to Meade & Hamilton to design it. The duo were the go-to architects of the wealthy back then, designing homes for some of the millionaires on Euclid Ave., Wade Park and the Heights. In 1916, the McBrides moved in. A hundred years later, the home at 2523 Norfolk Rd. has been renovated and restored to its original glory. Earlier this month, it hit the market for $565,000. This home is a “Gone with the Wind”… Movie Style of American Heritage Treasure. Truly magnificent! So very glad Howard Hanna is the caretaker of it’s future! It deserves it!